3 Bedroom Terraced House For Sale in Nantwich for Offers Over £150,000. 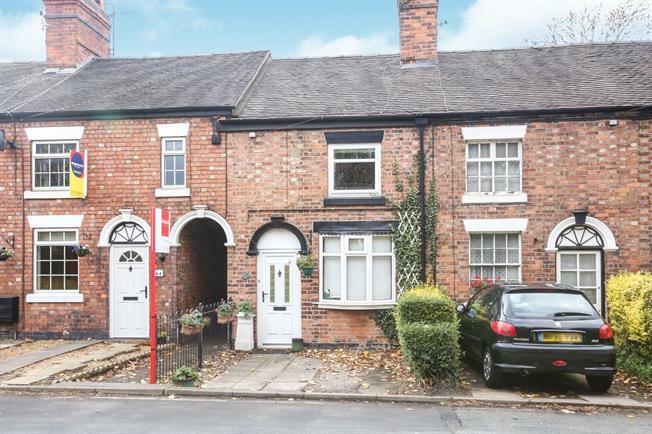 Looking for a well presented, charming, period home close the centre of Nantwich, with a garden? This is it! This charming property comprises of lounge with cosy open fire, dining room, and long galley to the ground floor. To the second floor, there are two double bedrooms and a third bedroom which leads to the bathroom, which is currently used as an office and dressing room, equally it would make an ideal nursery, beyond that a lovely bathroom. Outside there is a pretty rear yard, with an outside WC. Beyond the gate there is a separate low maintenance southerly facing garden. Bay window, uPvc front door, carpet, radiator. Rear window, open staircase, open fire with feature fireplace, carpet, radiator. Wall and base units roll top worktops, integrated electric cooker and gas hob, one and a half stainless steel sink, extractor fan, vinyl flooring, uPvc back door, side window, radiator, combi boiler, breakfast bench. Front window, built in wardrobe, carpet, radiator. Rear window, built in cupboard, carpet, radiato. Side window, radiator, cupboard. Classified as bedroom 3 but currently used and as office/dressing room. WC, pedestal sink, panelled bath with mixer tap, shower over bath, glazed shower panels, patterned window, vinyl flooring, part tiled walls. To the rear a pretty yard, beyond that a communal bin access path, but beyond that a lovely south facing low maintenance pretty garden with gravel, patio, shed, trees and shrubs. 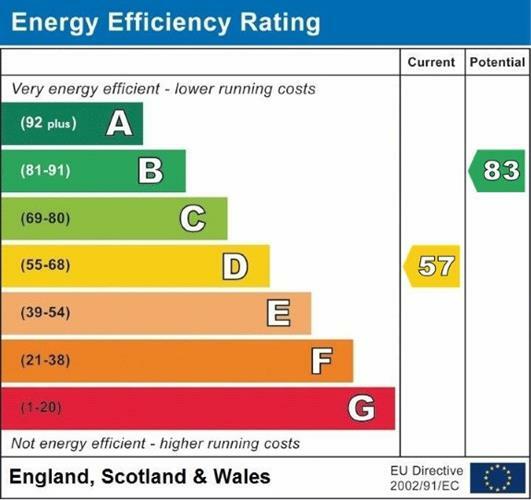 Fully double glazed with uPvc and gas central heating.